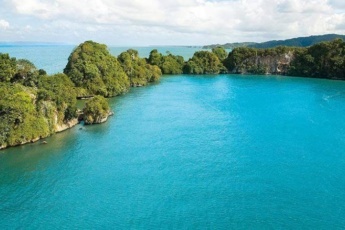 Home » Excursions in Punta Cana » Scape Park’s Full Day Pack: Three Attractions Full day admission. This is an unforgettable experience for everyone who wants to live a real adventure in the tropical paradise of Scape Park! Three activities by your choice included in the Scape Park Full Day Pack will make your day! Have fun at three Scape Park’s attractions and eat a delicious lunch between the activities. Transportation from any Bavaro/Punta Cana hotel included. Sunshine Cruise - USD$20.00 supplement per person. A buffet lunch and one drink are included. What’s included in the Scape Park Full Day Pack? Book your Scape Park Full Day Pack now! We went to Scape Park mainly for the zip line but also visited the Blue Hole and did the Sunshine Cruise. The zip line was amazing and I would recommend but beware that you need to do a lot of climbing to get through it. Nobody really warned us that we would be climbing up the rock and crawling through a small tunnel area. For those that can't climb or crawl or are in poor physical condition you might want to skip this activity. The Blue Hole was beautiful but I was ready to move on after about 20 minutes there. The sunshine cruise was nice for those that wanted to snorkel and swim. The guide was super nice and got us everywhere we needed to be. He is definitely an asset to the park! This is a kind of ecological adventure, we decided to diversify our day-to-day stay on the beach and in local bars with active recreation in the Scape park. We were picked up at the agreed time by a comfortable bus and had a lunch during our stay in the park. 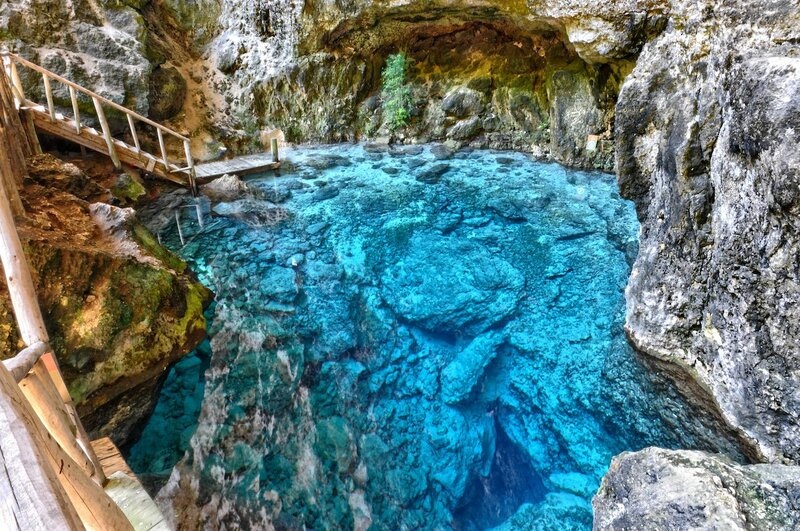 We advise to choose a zipline to get adrenaline and Hoyo azul to see the stunning blue lagoon and swim there. Highly recommended! We bought this three attractions package. Most of all I was struck by the Blue Hole (Hoyo Azul). It was an unforgettable walk through the jungle, I saw different wild tropical plants, orchids and cacti, but the most stunning was the cave with sweet water! 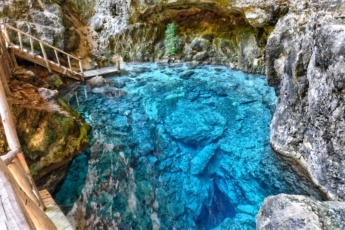 The depth there reaches about 37 meters but because of the incredible crystalline water, it seems that you can reach the bottom with your hand! Such a marvelous place! Scape Park Punta Cana is a natural theme park with numerous attractions and adventurous activities. 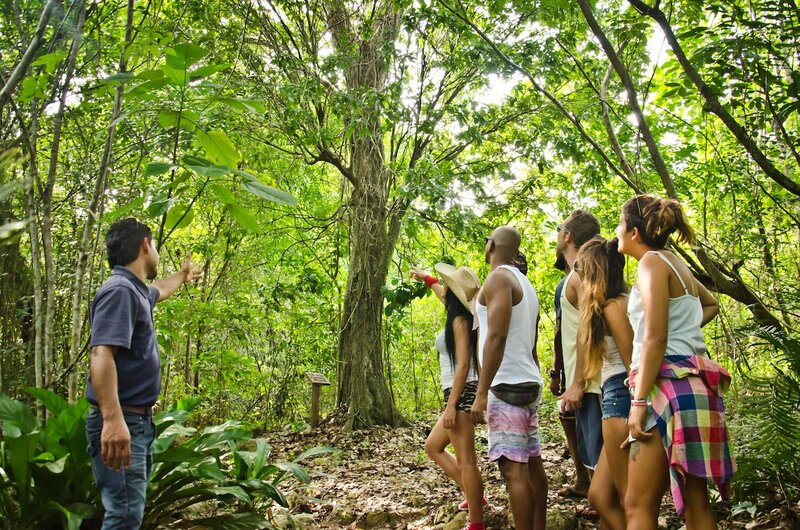 Scape Park Punta Cana is worth visiting, that is why book our special offer Full Day Pack at Scape Park Punta Cana and discover Scape Park Blue Hole, Scape Park Cenote, Scape Park Zipline and many more. 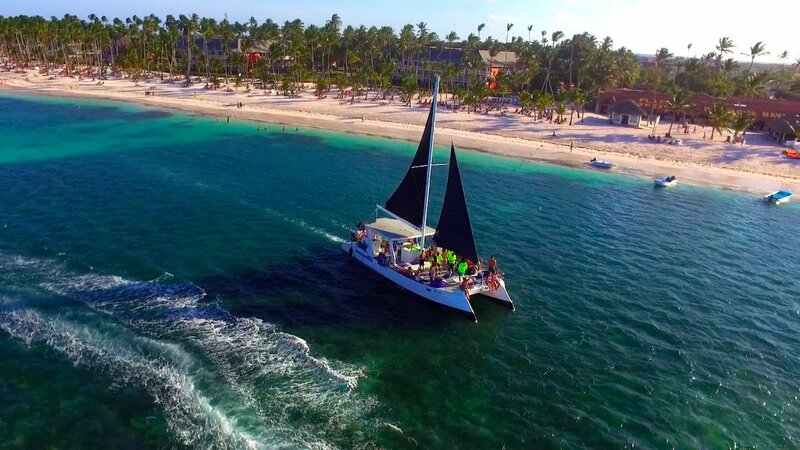 This Punta Cana Adventure Tour lasts about 7 hours and it takes about 1 hour for transportation. This is one of our best Punta Cana Adventure Packages and Punta Cana Full Day Excursions. 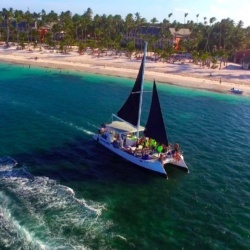 Booking this Punta Cana Adventure Package, you can choose three excursions at Scape Park Punta Cana: 1) Xenotes Caribe, 2) Punta Cana Zip Line Eco Splash, 3) Punta Cana Hoyo Azul Eco Tour, 4) Truck Eco-Expedition, 5) Beach Getaway, 6) Cave Expedition, 7) Cultural Route, 8) Sunshine Cruise (for an additional cost of $20). What is included in Scape Park Full Day package? Scape Park Full Day package is one of the best Punta Cana Adventure Packages. It includes comfortable two-way transportation, 3 Attractions, lunch with 1 drink, and complimentary attractions, such as Trail and Animal Encounter.